Construction sites are often synonymous with dangerous working conditions. Those who are regularly on construction sites know how dangerous it can be, and it’s no surprise that a serious accident can happen at any time, to anyone. If you or a loved one has been injured at a construction site, you may be entitled to compensation. Our Houston legal counsel is experienced in helping construction accident victims get the financial benefits they deserve. Nearly one in five deaths in the United States occurs in the construction industry. 40% of construction-related deaths are attributed to falls. More than 720 people were involved in fatal accidents in works in 2011. It is important to collect the facts and information regarding the accident as soon as possible. The sooner you start the investigation, the more likely you are to remember the key details of the situation. Waiting too long to start the investigation can make it more difficult to prove negligence, if negligence was a factor. Additionally, the state of Texas is governed by the Statute of Limitations of two years from the date of the accident to file a claim. What Should I Do After Being Injured in an Accident on the Construction Site? If you or a loved one has been injured in an accident at a construction site, you should immediately seek appropriate medical care, even if you do not feel that your injury is serious. Some injuries can manifest themselves in the course of a few hours or days, and it is important that you consult a doctor to determine the severity of your injuries. After you have met your urgent medical needs, you need to report the incident immediately to your employer. This could help prevent others from getting injured at work. They will also create an accident report that could be useful later. You should contact an experienced construction accident lawyer, as well as OSHA authorities, who can help conduct a thorough investigation of your accident. It is a good idea to write down any details regarding the situation, and take many pictures and videos of the construction site. Being involved in an accident can be a traumatic event, which could make it harder to remember key information later. Mining – Mining environments are susceptible to explosions, exposure to hazardous gases or chemicals, and the collapse of the mine. Refinery – Workers at oil and gas refineries are at risk of being involved in explosions. Chemical Plant – Injuries suffered in chemical plants are not so immediate and obvious. Complications may develop over time and may take years to be discovered. How much does a construction site injury lawyer cost? Our main objective is to help victims of construction site accidents receive the benefits to which they are entitled and do not want financial obligations to get in the way. That’s why we offer free consultations to see if we can help you win your case. If we can not, you do not pay anything. Can I file a claim even if I am receiving workers’ compensation benefits? Occupational accident and disease compensation insurance can help provide assistance with medical costs and lost wages, but they rarely cover the total amount. In addition, receiving these benefits means that you give up your right to sue your employer. However, you can still file claims against third parties who may have been responsible for your injury, even if you are receiving compensation for accidents and work-related illnesses. In some unique cases, even if someone or their families receive workers’ compensation benefits, you can still sue your employer. Our team of experienced attorneys can help you understand your options to make the best decision for your unique situation. Why do I need a construction accident lawyer? When you partner with an accident lawyer, we work for you, not for the insurance company. Insurance companies will have their own interests in mind, paying only the money they feel is needed. An experienced lawyer who understands how work accident lawsuits work can help ensure you are treated fairly and receive the appropriate benefits. The accident could have been my fault – can I file a lawsuit? You should never admit guilt in a construction accident, even if you think you were guilty. 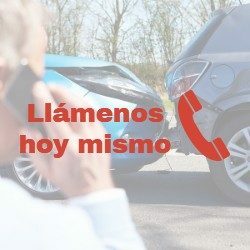 There could be factors that contributed to the accident and that you did not realize, and only a full investigation should determine the true cause. It is your decision if you file a lawsuit, without considering what you believe caused the accident. If you or a loved one has been injured in an accident at the construction site, you should not have to suffer alone. Contact our trained legal team of attorneys and legal assistants today for a free consultation to see if we can help you receive fair compensation. If we can not help you win your case – you pay nothing!